Casino operators and their employees members of the Culinary Union in Las Vegas have been negotiating the terms of their new contracts for the past several weeks and impressive progress have been accomplished up to this point. 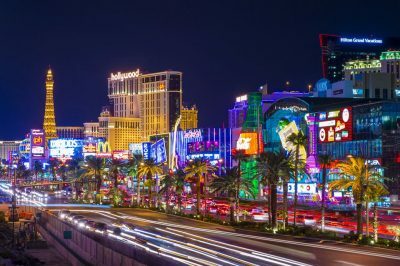 This Saturday brought the news that two more casino developers – SLS Las Vegas Hotel and Casino and Downtown Grand Las Vegas have reached tentative deals with their workers, that would see them accomplish their demands for improvement. As many as 190 workers would have their contracts renewed with the help of the said tentative deal. It is expected to be ratified in the upcoming weeks, ultimately signing it into a permanent contract spanning over the next five years. This would happen with the help of a vote including the employees, but a specific date for it has not been appointed for the time being. What was taken into account while the new contracts were negotiated was that working conditions up to this point have not been providing employees with the needed rates of security. There has been a recent poll conducted by the Culinary and Bartender Unions which showed that as many as 59 percent of the cocktail servers working at casino resorts in Las Vegas had been subjected to sexual harassment by customers of the resorts or their managers. This comes as no surprise as it could be recalled that the end of January witnessed one of the still ongoing scandals involving Wynn Resorts former CEO Steve Wynn and sexual misconduct allegations against him. In the meantime, when it comes to less direct ways of intimidating, some 72 percent report that they had experienced uncomfortable situations where a guest of the hotel had acted in an inappropriate manner. These concerning results were what prompted the introduction of new terms to the contracts negotiated that strive to protect employees from such situations of danger and provide them with the means to protect themselves, such as panic buttons. The new contracts would be signed in a retrograde manner in order to cover the work period since the beginning of June when contracts expired. The first casino developers to reach tentative deals with their employees was Caesars Entertainment only two days after the deadline of the said contracts. Following it closely was the arrangement of MGM Resorts with its employees. Contracts were ratified several days later and bartenders, guest room attendants, cocktail servers, food servers, porters, bellman, cooks, and kitchen workers were ready to resume work. Now a total of 65 days have passed since the deadline set for the renewal of the contracts and there are still some 3,300 workers members of the union who are yet to see their contracts for employment renewed with better conditions. For the time being, more details about the tentative deal have not been disclosed, but they would become clear once the permanent contracts are signed. Culinary Local 226 is the union that represents them and protects their best interest, so it was of utmost importance for it to have their expectations met. 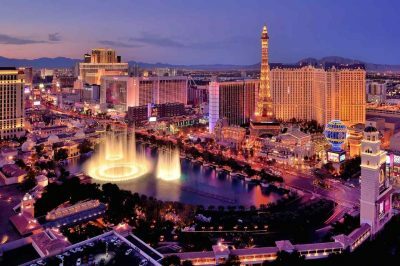 Ever since the gaming field in Las Vegas became aware of the potential of casino workers when they want their expectations met, there have been negotiations in progress aiming to reach far. The following five years were set to see new contracts for as many as 50,000 employees currently working at casino resorts on Las Vegas Strip and beyond. Due to the uncertainty of the situation and the scarce information provided, at the beginning of June employees threatened to go out on a citywide strike if they do not have their contracts renewed. It could be recalled that contract negotiations officially commenced on 23rd February but no real progress was accomplished up until the beginning of June. What significantly boosted development in the right direction was the persistent picketing of employees outside some of the leading locations to the liking of Margaritaville Casino Restaurant, The D Casino Hotel, as well as Golden Gate Casino Hotel.